1. 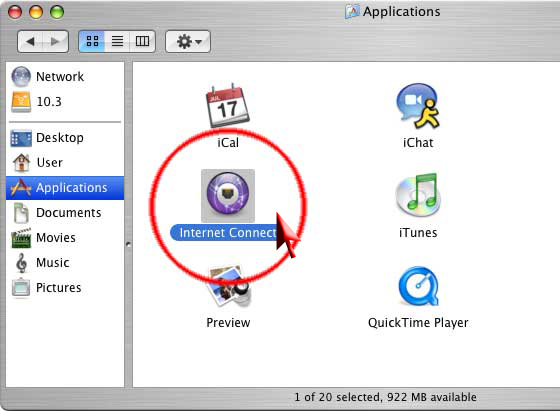 Open Internet Connect – Go to the Applications folder and look for "Internet Connect" and double click on the icon. 2. 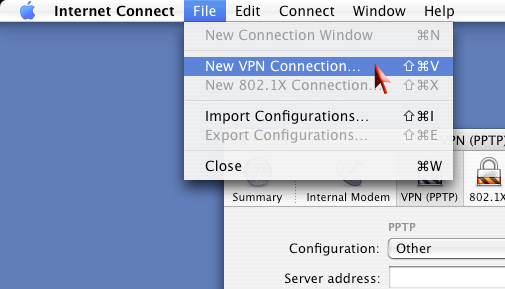 Next go to "File" in the menu and select "New VPN Connection". 3. 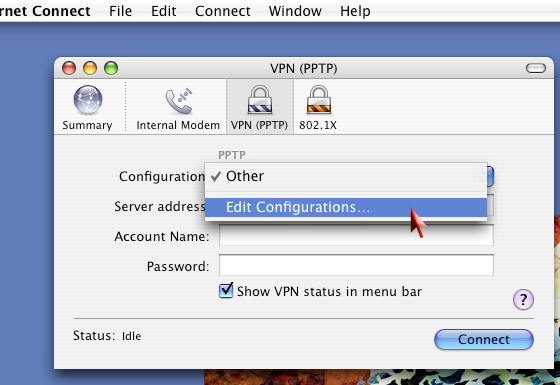 Click "PPTP" and then click on "Continue". 4. 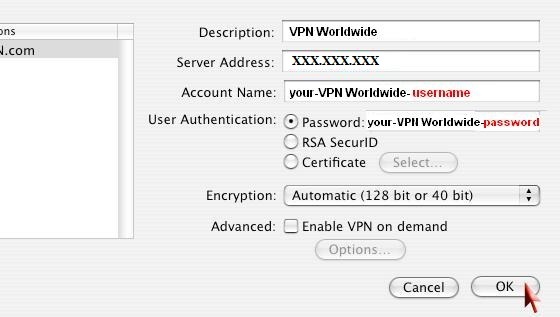 Click on "Other" and select "Edit Configurations...". 6. 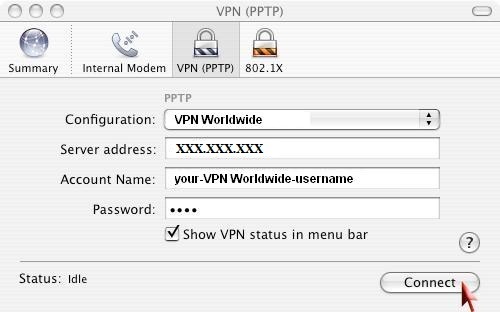 Click "Connect", your VPN Worldwide is configured and ready for use.